Arirang-1 or Arirang I is an unmanned artificial satellite created by the Korea Aerospace Research Institute and launched by a US rocket on December 21, 1999. This was the first satellite built primarily by South Korean engineers, although previous foreign-built satellites had been launched by Korean companies. It carries a surveillance camera able to distinguish objects with a diameter of 6.6 meters. It takes its name from the popular Korean folk song Arirang. The satellite was launched from Vandenberg Air Force Base in California on a Taurus rocket. It had been built in Daedeok Science Town in Daejeon, South Korea. The parts were shipped in three stages from Korea to California by First Express International, a Korean shipping firm.The Arirang-1 was succeeded by the Arirang-2 in 2006. Additional satellites in the series are planned. On January 6, 2008, the Korea Aerospace Research Institute reported that they had lost contact with the satellite. It is suspected to have had a malfunction that has affected power generation. Chollian, (Korean, lit. Thousand Li View) also known as Communication, Ocean and Meteorological Satellite 1 (COMS-1), is a South Korean satellite which was launched in June, 2010. It will be operated by the Korea Aerospace Research Institute, who will use it for communication, oceanography, and meteorological observation. COMS-1 was constructed by EADS Astrium, and is based on the Eurostar-3000S satellite bus, bringing together ESA-made heritage from Meteosat and lessons learned from Eurostar satellites respectively. It has a mass of 2,460 kilograms (5,420 lb), and carries transponders broadcasting in the D/E and K bands of the NATO-defined spectrum, or the L/S and Ka bands of the IEEE-defined spectrum respectively. Its single solar array is expected to generate a minimum of 2.5 kilowatts of power.COMS-1 was launched by Arianespace using an Ariane 5ECA carrier rocket lifting off from ELA-3 at the Guiana Space Centre in Kourou, French Guiana. The first attempt to launch it occurred on 23 June 2010, however the launch was scrubbed due to a problem with one of the rocket's subsystems. A subsequent attempt on 24 June was also scrubbed, due to a problem with the pressurisation of the rocket's fuel tanks. The launch occurred at 21:41 UTC on 26 June 2010. The Saudi Arabian Arabsat-5A satellite was launched by the same rocket, with a SYLDA adaptor being used to separate the spacecraft. Arabsat-5A was mounted atop the SYLDA, with COMS-1 underneath it.Following launch, COMS-1 separated into a geosynchronous transfer orbit. It will use an apogee motor to raise itself into geosynchronous orbit. Once it reaches this orbit, it will undergo testing before beginning operations at a longitude of 128.2 degrees East. Its mission is scheduled to last seven years, however the satellite has a design life of ten years. Daedeok Innopolis, formerly known as Daedeok Science Town, is the research and development district in the Yuseong-gu district in Daejeon, South Korea. Daedeok Innopolis grew out of the research cluster established by President Park Chunghee in 1973 with the opening of the KAIST. Over 20 major research institutes and over 40 corporate research centers make up this science cluster. Over the last few years, a number of IT venture companies have sprung up in this region, which has a high concentration of Ph.Ds in the applied sciences. There are 232 research and educational institutions to be found in Daejeon, many in the Daedeok region, among them the Electronics and Telecommunications Research Institute and the Korea Aerospace Research Institute. The "town" will provide a core for the International Science and Business Belt. The Daedeok Innopolis logo was created by the industrial design company INNO Design in Palo Alto, USA. Goheung County (Goheung-gun) is a county in Jeollanam-do Province, South Korea. This is a partial list of Korea-related topics beginning with K. For Korean words starting with ㄱ, see also under G.
The KAI KUH-1 Surion is a twin-engine, transport utility helicopter developed primarily by Korea Aerospace Industries (KAI), Agency for Defense Development (ADD) and Korea Aerospace Research Institute (KARI) jointly with Eurocopter. In 2006, the research and development phase of the Korea Helicopter Project - Korea Utility Helicopter (KHP-KUH), costing around 1.3 trillion won ($1.2 billion), was launched by the Agency for Defense Development. In 2012, full-scale production of the Surion commenced; KAI has been designated as the principal manufacturer of the type.An initial force of around 245 Surions have been ordered by the Republic of Korea Army to replace their aging fleets of UH-1H utility helicopters and 500MD light utility helicopters, which have been in service for decades. KAI shall also construct civilian and law enforcement variants of the helicopter.In 2017, the Surion was the centerpiece of an embezzlement scandal involving parent company KAI, the South Korean Ministry of National Defense and its Defense Acquisition Program Administration. Korea Pathfinder Lunar Orbiter, the first lunar exploration mission by the Korea Aerospace Research Institute. 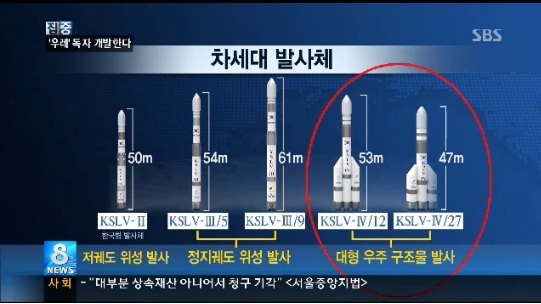 KSLV-II, also known as Nuri (누리), is South Korea's second carrier rocket and the successor of KSLV-1. 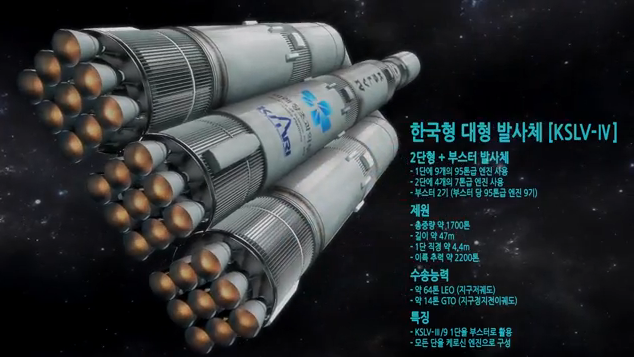 This three-stage rocket is entirely developed by the Korea Aerospace Research Institute (KARI), and planned launched into space in 2021. All stages will use indigenously developed rocket engines. The South Korean government is setting SpaceX as a role model, especially in making cheaper and reliable rockets for commercial launch service. The goal is to launch a 1,500 kg payload into a 600–800 km low Earth orbit (LEO) and 2,600 kg into a 300 km LEO. Ko San (born October 19, 1976) is CEO and founder of TIDE Institute and ATEAM Ventures. The Korea Advanced Institute of Science and Technology Satellite 4 (Kaistsat 4) is an ultraviolet telescope in a satellite. It is funded by the Korea Aerospace Research Institute, and was launched on 27 September 2003 into an Earth orbit with a height between 675 and 695 km. The Korea Pathfinder Lunar Orbiter (KPLO) is a planned lunar orbiter by the Korea Aerospace Research Institute (KARI) of South Korea. The orbiter, its science payload and ground control infrastructure, are technology demonstrators. The orbiter will also be tasked with surveying lunar resources such as water ice, uranium, helium-3, silicon, and aluminium, and produce a topographic map to help select future lunar landing sites. The mission is planned to be launched in December 2020 on a Falcon 9 rocket. Naro Space Center is a South Korean spaceport in South Jeolla's Goheung County, operated by the state-run Korea Aerospace Research Institute. 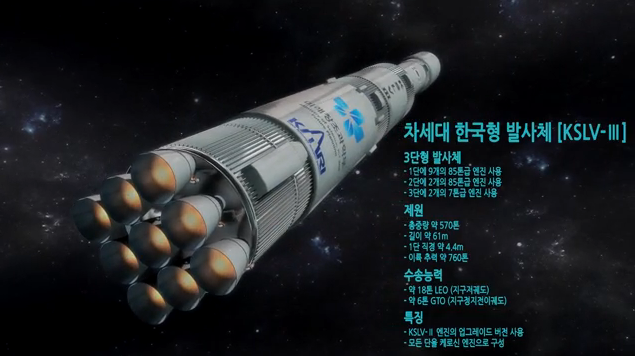 The spaceport is located about 485 km (300 mi) south of Seoul. It includes two launch pads, a control tower, rocket assembly and test facilities, facilities for satellite control testing and assembly, a media center, an electric power station, a space experience hall and a landing field. 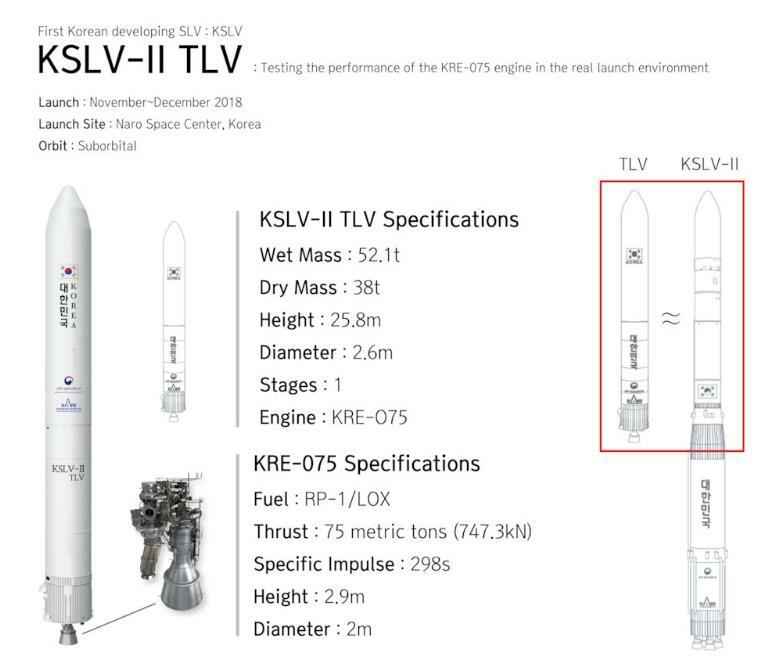 It supported 4 launches, and will also support the KSLV-II launch in 2021, and SSLV launches in 2025. STSAT-2A (Science and Technology Satellite 2A) was a satellite launched by the Korea Aerospace Research Institute (KARI), the national space agency of South Korea, from the Naro Space Center in Goheung County, South Jeolla using the Naro-1 (KSLV-1) rocket.The 100-kilogram (220 lb) satellite carried a Lyman-alpha Imaging Solar Telescope (LIST) as well as Satellite laser ranging (SLR) payload.The Satellite Technology Research Center (SaTReC) developed STSAT-2A as a sun observation, satellite laser ranging and engineering and technology demonstration sponsored by the Ministry of Science and Technology. It was expected to be operational for about two years, and was scheduled to be launched between 2005 and 2007.The Satellite Laser Ranging (SLR) instrument was intended to measure the orbit of STSAT-2A, in order to investigate variations in its orbit.It was a followup to STSAT-1, which was launched using a Kosmos-3M rocket on September 27, 2003. Originally a Dual-channel Radiometers for Earth and Atmosphere Monitoring (DREAM) Microwave radiometer was intended as the principal payload of STSAT-2A for an expected launch in 2007. The Laser Retro-reflector Array (LRA) was described as an early expected payload for STSAT-2A which would consist of nine retro-reflectors in a mechanical casing.STSAT-2A has three missions, the indigenous research and development to place a satellite into low orbit, development of indigenous spacecraft, and the ability to develop scientific payloads.STSAT-2A was launched on the maiden flight of the Naro-1 rocket, which lifted off the Naro Space Centre, on the southern coast of South Korea at 08:00 GMT on 25 August 2009. The launch failed to place STSAT-2 into orbit after half of the payload fairing failed to separate. This resulted in the second stage being too heavy to reach orbit, and it fell back to Earth along with the satellite. Further investigation is ongoing. A second satellite, STSAT-2B, was launched on June 10, 2010, but the launch vehicle failed again. 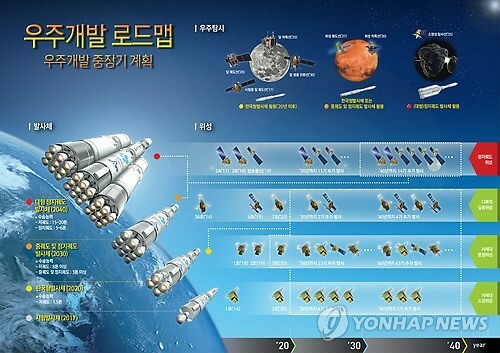 STSAT-2B, or Science and Technology Satellite 2B, was a South Korean satellite which was lost in the failure of the second flight of the Naro-1 carrier rocket. It was to have been operated by the Korea Aerospace Research Institute, and was intended to demonstrate technology for future spacecraft. The satellite had a mass of 100 kilograms (220 lb), and was expected to operate for at least two years.STSAT-2B was originally intended to operate alongside a second spacecraft, STSAT-2A; however STSAT-2A was lost in 2009 after the payload fairing of its carrier rocket failed to separate, leaving the rocket unable to achieve orbit. STSAT-2C, or Science and Technology Satellite 2C, or Naro Science Satellite(ko:나로과학위성) is a South Korean satellite which was launched in 2013. It is operated by the Korea Aerospace Research Institute, and is intended to demonstrate technology for future spacecraft. The satellite has a mass of 100 kilograms (220 lb), and is expected to operate for less than a year.STSAT-2C was launched at 07:00 UTC on 30 January 2013, on the third flight of the Naro-1 carrier rocket, with a Russian first stage derived from the Angara and a South Korean second stage. Liftoff occurred from the Naro Space Centre, and the rocket successfully deployed the satellite into at 292-by-1,511-kilometre (181 by 939 mi) low Earth orbit inclined at 80.3 degrees. The launch marked the first successful flight of the Naro-1, which had previously failed to launch STSAT-2A in 2009 and STSAT-2B in 2010. Science and technology in South Korea has advanced throughout the decades.